PHOTOS: Alberta NDP Premier Rachel Notley. Below: Calgary MLA Sandra Jansen, elected as a Progressive Conservative and now a member of the NDP, Municipal Affairs Minister Danielle Larivee, and the late Jim Prentice, the last PC premier of Alberta. OK, technically, it was the International Year of Pulses. But you can take it from me, I’m an old agriculture reporter for what used to be a major metropolitan newspaper, and pulses have got nothing to do with heartbeats. It’s a bean thing. In plain English, it means the International Year of the Bean. If you don’t believe me, you can ask the United Nations. We grow a lot of beans here in Alberta. Lately, we’ve been full of them too! Aside from beans, here we are on the cusp of 2017 and it’s time for the traditional review of the top 10 political news stories of the year that’s nearly over. There was no shortage of horrifying news stories in 2016, up to and including the election as president of the United States of Donald J. Trump. But given the mandate of this blog, I’m going to stick with stories that have a strong Alberta angle. These are just my picks for those Top 10 spots, of course. They are in chronological order, rather than the traditional Top 10 approaches of best to worst, or least funny to funniest. Readers are welcome to disagree. Those who wish to do so are encouraged to submit their own lists to the comments section. January 1: Edmonton’s first fentanyl bust of 2016. Police grab close to a half million dollars of the synthetic opioid drug on the first day of the year, arresting two men. Through the rest of the year, the drug will kill hundreds of Canadians. This year will likely be worse. It’s a deadly public health crisis that we refuse to treat as a public health crisis. After all, fentanyl is the perfect drug for the fascistic “war on drugs.” It’s far easier to smuggle into its No. 1 market than whisky from Canada or bales of Mary Jane from Mexico, and the perfect way to keep a restive lumpenproletariat under control, through dope or jail. In the New Gilded Age of Trump, despite the best efforts of thousands of fundamentalist preachers, it would seem artificial opiates have become the opiate of the people. 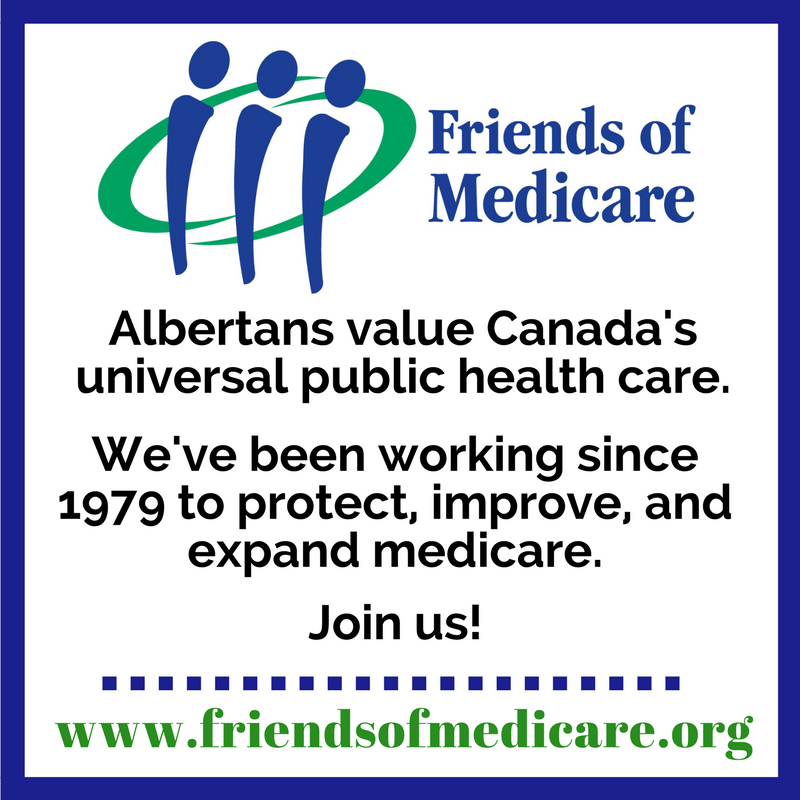 January 30: No change to Alberta’s royalty regime. The Alberta NDP has what looks like its Syriza moment and decides times are just too tough to make the oil industry pay fair royalties to the owners of Alberta’s resources. That would be us, the people who are citizens of this place. In this end, this gets the government no credit from the Opposition and something less than full co-operation from the industry, although several larger companies scramble aboard the government’s Climate Leadership Plan, which includes a carbon tax. If the NDP can’t fix this problem, who the heck can? February 9: No #Kudatah. What if they called they called a coup and the Queen didn’t show up? Once Her Majesty had seen their petition, the NDP government was supposed to fall like a house of cards, or so the government’s nuttiest and most spelling challenged opponents claimed. Didn’t happen. For one thing, Buckingham Palace wasn’t taking cold-callers from Alberta. For another, it turns out Alberta is still part of a constitutional democracy. April 10: NDP turfs Tom Mulcair; boosts Leap Manifesto. Mr. Mulcair, who had a tough act to follow after the 2011 death of Jack Layton, became the first national leader of the New Democratic Party to lose a leadership review, right here in Edmonton. This has big ramifications for the national NDP, which has seen its public support flatline ever since and had a tepid response to date for its call for candidates. The fact the federal party slapped the Alberta party in the face at the same meeting by approving consideration of the LEAP Manifesto – an environmental document Premier Rachel Notley termed naïve, ill-informed and tone-deaf – deepened the growing fissure between the national NDP and the party’s Alberta branch. May 3: Fort Mac Fire. The huge wildfire that ripped through Fort McMurray is the story everyone agrees should be on all lists of this sort. The fire, of course, was a catastrophe, even if the successful evacuation of 90,000 people from the northern Alberta oil sands service centre was a triumph. Also a triumph was Premier Rachel Notley’s response, and that of Municipal Affairs Minister Danielle Larivee, which did a lot to leave the impression the neophyte New Democrats were a real government, run by grownups. The sobering possibility that global climate change may have played a role in creating the conditions for a fire this bad, however, was handled gingerly by all parties. August 26: Goodbye to Stephen Harper. Yes, Stephen Harper, the old Alberta sovereignist Firewaller himself, who somehow became the prime minister of Canada for a long, dark decade and was sent packing by voters in October 2015, finally resigned his Calgary Heritage Parliamentary seat. What kept him so long? It certainly wasn’t the rich irony of being defeated by the son of the Liberal politician he despised the most. No doubt part of it was the desire not to be called to testify about his knowledge of the PMO’s shenanigans at the trial of Senator (Restored) Mike Duffy, or the appeal of that verdict that never materialized. Like the proverbial bad penny, though, Mr. Harper keeps turning up, trying to influence Alberta provincial politics. October 13: The death of Jim Prentice. In a way, the terrible death of Jim Prentice, the last Progressive Conservative Premier of Alberta, in a plane crash in British Columbia had little political significance. But in addition to being a tragedy for his family and the loss of a man who surely had more to contribute to public life, it underlined the symbolic end of an era in this province’s political history and resonated painfully throughout all parts of Alberta’s small political community. It is a reminder to all of the shortness and fragility of life. November 17: Sandra Jansen crosses the floor. Despite the effort of conservative commentators of all persuasions to pooh-pooh this reality, the decision by the Calgary North-West Progressive Conservative MLA, who hours before had been a candidate for the leadership of the party, to cross the floor of the Legislature to join the NDP has enormous significance. It is important in part because Ms. Jansen quit the Tories only after being harassed and intimidated by the supporters of the campaign of Jason Kenney, something all women voters are likely to note. In part because it shows the Alberta NDP is becoming a big tent party of the type that can, no matter how many times conservatives call it “ideological,” win elections more than once. Expect Premier Notley to invite Ms. Jansen to join her cabinet in the New Year. November 29: Two pipelines approved. How do Alberta’s Opposition parties – whose leaders in the secret chapels of their hearts are praying to the Almighty to keep Alberta’s economy in the dumpster – pretend to find fault with the Trudeau Government’s approval, sought so passionately by the Notley Government, of not one, but two pipelines out of the province? It makes them spitting mad, of course, because it’s proof Ms. Notley’s “social license” approach to resource development works, while the bullying they advocate has been an utter failure. Their pathetic complaint is that Justin Trudeau’s Liberals didn’t approve three pipelines. Their constant claim – to the point it amounts to an effort at economic sabotage – is that neither pipeline will ever be built. 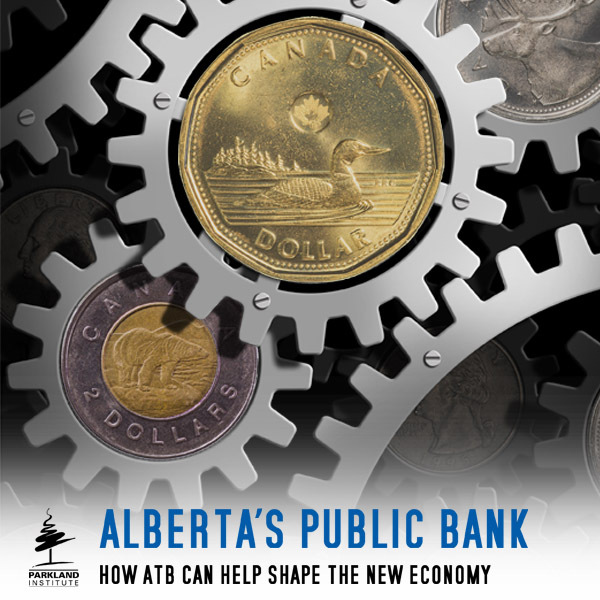 It is likely they will be proved wrong about both in 2017, when the flow of more than $14 billion in private-sector investment to Alberta and B.C. begins. Have a Great New Year, Mr. Climenhaga! I look forward to reading every article of AlbertaPolitics.ca in 2017! A few thoughts on 2 of your choices. 1. The royalty review. For years Albertan’s were told by the NDP we weren’t getting our fair share for our resources. The NDP promised to do a royalty review and did. I found the outcome interesting. Jack Mintz and Daria Crisan released an interesting report. 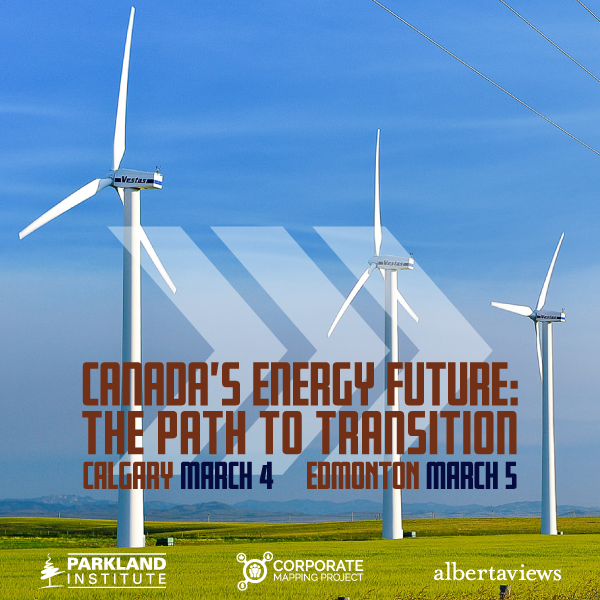 This quote sums it up for me:”Under the current regime, Alberta conventional oil bears a marginal effective tax and royalty rate(METRR) of 35.0%(the METTR is relevant for new investment decisions). The changes have sharply reduced that to 26.7 per cent”. In the end after years of telling Albertan’s we weren’t getting enough they changed it so we even get less, somewhat ironic. 2. The approval of the 2 pipelines. I think both Premier Notley and Prime Minister Trudeau should be applauded, pipelines are far superior to moving oil by rail. As for social license, the BC NDP, Greenpeace, Vancouver’s Mayor Gregor Robertson, Elizabeth May, the list goes on of those still opposed. Social license is nothing more than a political construct that when repeated often enough in the media we the public are expected to believe some new consensus has been created when really nothing has been created at all. I would look at it a little differently. Our Prime Minister looks at the numbers of our Canadian economy, realizes that natural resources have the best opportunity for growth. We have had a lower dollar for a couple of years and no growth in manufacturing. He is ramping up government spending, implementing new taxes without some economic growth it won’t work. So he approves the pipelines. Same thing in Alberta. You have a government caucus that are all historically against pipeline developement. They look at the numbers and realize if we don’t sell more oil were done, hence their change in outlook. There is no doubt that Trudeau and Notley are good salesman! Your comment is the most thoughtful one that I have read in Alberta Politics in a long time. Kudos to you, Farmer B. Regarding #2: let us not forget that it will not be oil that flows through these pipes, but ‘dilbit’. Given better quality options (fracked crude from the Bakken region) I don’t see how the pipelines will be filled, unless of course the price is dirt cheap. Add to the fact that the more oil that eventually finds itself on the world market, the harder it will be for the price to be anywhere near what it was in the heyday of pre-2014. you’re right. just one correction. it isn’t sign of good salesmanship but rather sign of desperation of politicos, who don’t know what to do to revive economic life in Canada. after all, pipelines still just on the paper and there will very long way just to start to build them. BC NDP, Greenpeace, Vancouver’s Mayor Gregor Robertson, Elizabeth May, etc. are smallest part of future obstacles. main part located south of border, benefits from discounted Alberta oil and provide sponsorship to mentioned above domestic eco-fascists. Are they “eco-fascists”? Don’t you mean “eco-terrorists”? Doesn’t matter: either term is equally offensive and equally indicative of brain death on the part of the person uttering it. Perhaps you could explain your actual meaning? i don’t see differences between extreme right and nowadays eco-movement. same aggressive and intolerant behavior toward anyone, who won’t join they camp, won’t share their view and won’t follow their direction. for nazis and communists, to force everyone around live by their standard, is a typical tactic. Does the eco-movement members advocate cleaning up oil spills at taxpayer expenses? Does the eco-movement support subsidising the oil and gas industry to the tune of $37 billions a year, with our tax dollars? Which of the two, eco-movement or RWNJs, supports real science over propaganda? There is a huge difference between these two groups in value systems and tactics. On group owns politicians and the other clearly doesn’t. Moreover, one group is motivated by profits, and power while the other is motivated by every humans’ inalienable right to clean air and water – big difference! They have hearts? That’s news to me and many more Albertans. No question. She is a star. Beat the so called `pros`at their own game. And guess what, the sky is not falling. Now we have an environmental policy, approval for an enlarged pipeline to tidewater and an enlarged pipeline to Wisconsin. Just a little better than the Conservatives boast about a pipeline from Ft. Mac to Ft. Saskatewan. That it in the last 10 years or so. Eclipsed by the raging socialists in just 18 months. The shame of it. No wonder Jason Kenny et al are so enraged. Though I think that it has completely passed over Ric McIvors head. The provincial Conservatives should be embarassed. Mind you. in 8-10 years I have no doubt that I will be in favour of booting them out and electing a new gang. Don`t ever want the civil service, the boards and commissions, and a ruling political party to essentially be one in the same. It can happen with the NDP just as easily as it did with the Conservatives or would with the WRP. Human nature at it`s best…or perhaps worst. Included on this list should be the rise and fall of Rojor’s Place. I know somone who recently atended an Oilers game and paid $31 US for a ticket. Either the novelty is wearing off or everyone is getting tired of the Oiler’s missing the net (each time they miss the net your taxes are going up $2). I have a simple test to measure whether a government is effective (good) or ineffective (bad). Count the number of scandals associated with the government in power. In the case of the NDP the number is zero (as in 0). Pretty simple yet accurate measure. The second measure is of course economic. Am I worse off financially than I was last year? In my case the answer is hell no. I still have a job, and I have more money in the bank than last year. Granted many Albertans are not as lucky, but why? For some reason is their bad decisions and actions. For others, it is their circumstances e.g. Ft. Mac fire. For those unfortunate individuals we have to ask is whether their misfortune is due to the government. Well, is it? Be honest. Notley does not control the price of oil worldwide, so any dire consequences relating to the price of oil cannot be attributed to the NDP. Bottom line: Notley’s NDP is the best government Alberta has had in many decades – and that includes the town drunk St. Ralph. the best premier Alberta ever have had was Peter Lougheed. and please note, he was in situation way worst that present. p.s. corruption usually appears after few years of being in power. so your indicator isn’t something to be reliable at present. but dip in popularity of provincial NDP from 52% to 31% just in one year quite speaks for itself. i can’t say Notley are worst but rather disappointing by her ideological stubbornness. Alberta in need of a good manager rather than ideological gamer. Government corruption takes a few years? Since when? Remember Redford, Klein, Prentice? A dip in popularity between election night and a year later is common, and is no indication of corruption. I agree Alberta is in need of a good manager, and we have one. As for ideological gamers, well, I think you just defined what all politicians are regardless of their political stripes. By any measure, at least Notley is not an ideological fanatic, and neither was Lougheed by the way. nope, your reference to Klein, Redford, Prentice only pointed to change of the actors in main role but political party was the same and long established in power. as for Ms. Notley… well, on local level her initiatives perhaps can be interpreted as interesting and fresh but unlike former Lougheed’s ones, mainly useless on pragmatical level for majority of albertans. My reference to Klein, Prentice and Redford is in direct relation to theirs and their party’s corruption and near constant scandals. Unlike all the previous bad actors who systematically squandered our wealth for the benefit of their friends, and the fossil fuel industry, Notley’s approach is indeed refreshing since she is motivated to help ALL Albertans. These are initiatives that do benefit the majority of Albertans. well, PC did come to power way back in 1971.
it took 21 years before Ralph Klein. i do not advocate for PC or whatever who’s else. only really like to see alberta’s government was not only talks but works. 4. New political financing = how that improve my or your living standard? 5. Finally going ahead with the Cancer Centre in Calgary = sure good thing but what exactly beneficial in it for 4.2 millions? Val, this is typical RW nonsense. Your argument basically boils down to no matter what Notley does it’s bad. Even going ahead with the cancer centre is bad, because not all 4.2 million Albertans will get cancer or live in Calgary? Increasing minimum wage for the working poor is bad because it will make living more expensive? Improving working conditions for farm workers is bad because they only represent 2.7% of the population. I guess you figure they are somehow less worthy of the same protection the other 97.3% enjoy? Notley is improving Alberta for all of us one disenfranchised segment at a time. We judge a society and its elected government by how well they treat the most unfortunate among us, and not how the pamper the oil and gas industry or the top 1%. I won’t comment on the other two things on my list. It is way too nuanced and would require more effort than I am willing to expend on this comment board. 1. Increase in minimum wage from 10.20$ to 15.00$. 4.80/hr x 40hr/week x 4.3weeks/month x 12 months = 9907.20$ per year. Does not include holiday pay, increase in income tax payed by employer. Agree you can not live on 10.20/hr but 12.50 would have been more realistic. 2. Carbon Pricing, as a farmer expert analysis puts cost increases at 6 dollars per acre by the time it hits 50$ per tonne, over 11000 dollars per year for me and I am a small farm. 3. Increased farm labour protection, hmmm on my family farm the only benefit will be the end of employing 1 non family employee. Wasn’t a wage issue as our wages started at 20$ per hour. 4. New political financing rules, I would say the biggest problem we have is tax payers money being spent on government advertising, I believe almost 10 million in 2016 on the climate leadership plan, that is excessive! increase in pay would work if at same time one implement consumer’s protection act against price rises for no apparent reason but just because someone can do this. $10 p/h is a very small percentage of workforce but now everyone, independently of earning should expect jump in cost just because average statistical earning in Alberta went up. particularly it will be seen in field of renting, insurance and services.